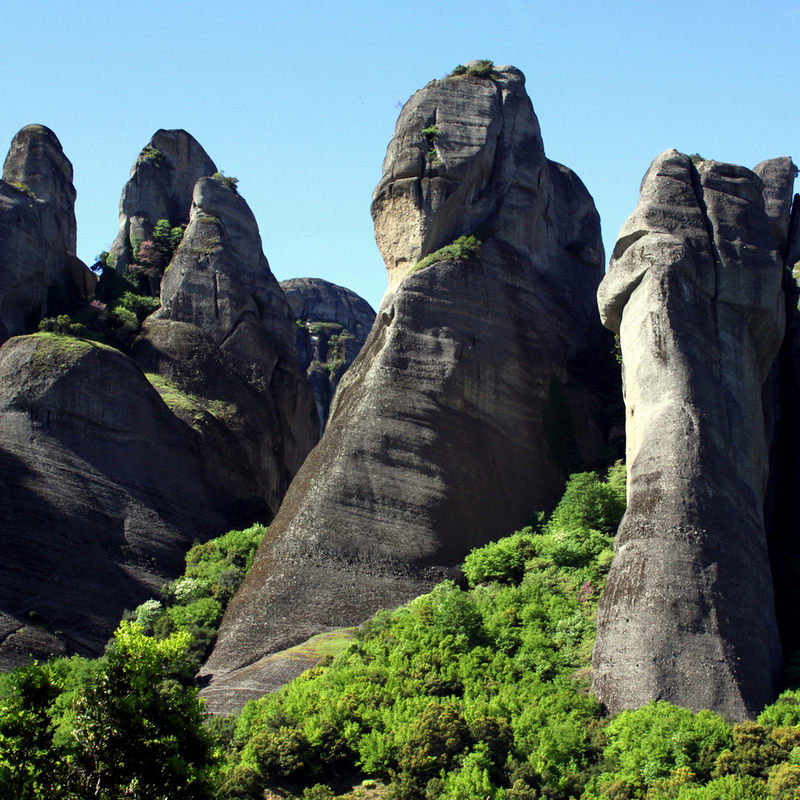 » Hiking in Northern Greece: From Thessaloniki to Corfu. Day 1 - From Thessaloniki to The Olympus. Arrival in Thessaloniki. Transfer (92 km) to Litochoro (altitude: 300m) or to the nearby beach, to our hotel. 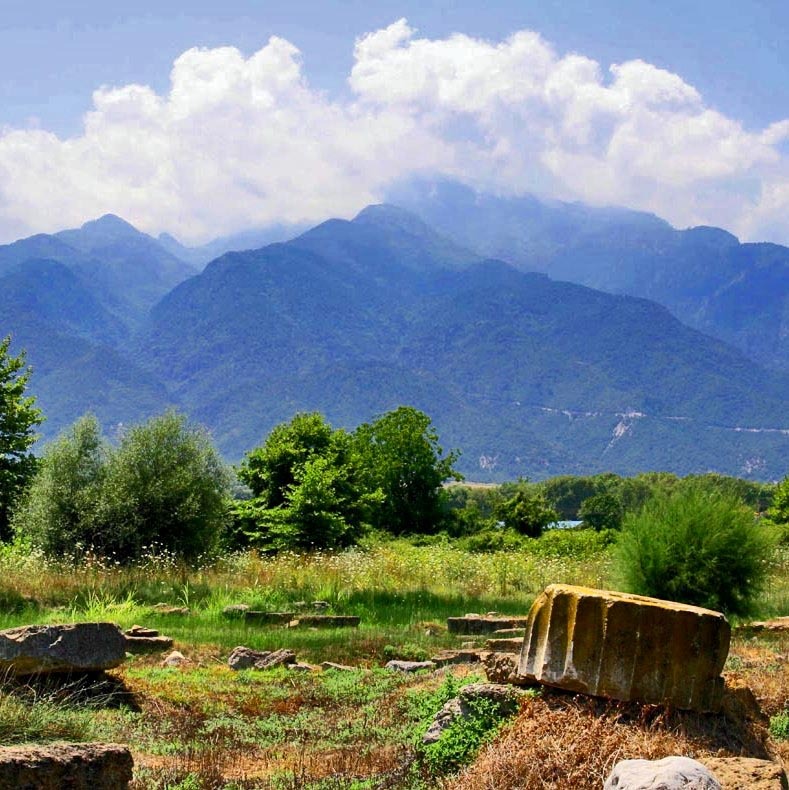 To the west and close to the sea dominates Olympus, the mountain of the Gods. Its highest peaks rise above the gorge of Enipeas. Day 2 - Climbing Olympus Mountain. Drive(13km) to Gortsia, at an altitude of 1120m. 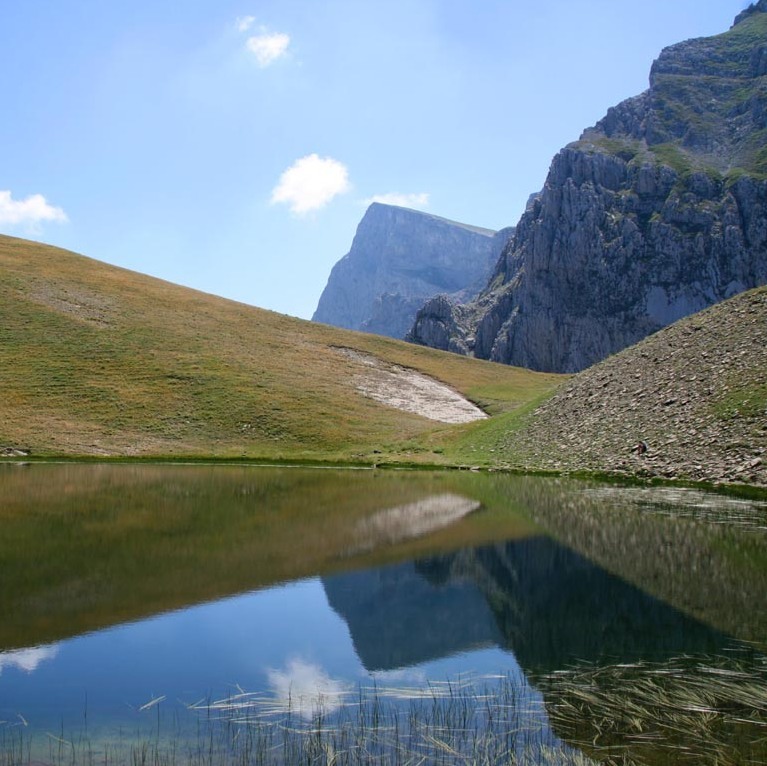 Hiking in a majestic landscape: Through a dense pine forest and then along the barren limestone slopes, we reach the plateau of the Muses and the SEO-hut, at an altitude of 2695m [5h30']. 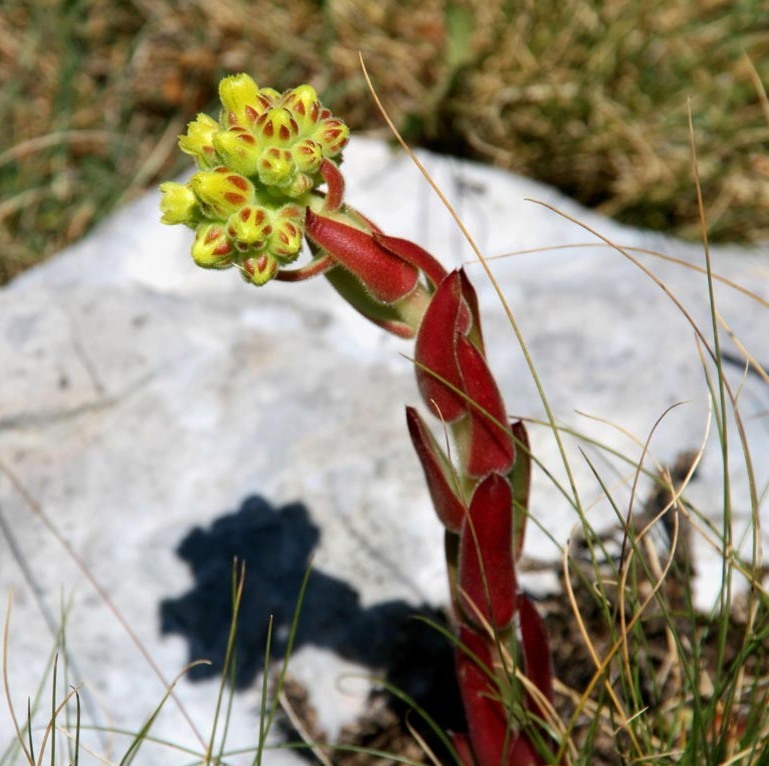 That is the base of the highest peak, just below the "Throne of Zeus", also called “Stefani” (“wreath”). Ascent to the peak of Profitis Ilias, at an altitude of 2787m. Glorious view from the chapel of the summit. Overnight in a lodge [D]. 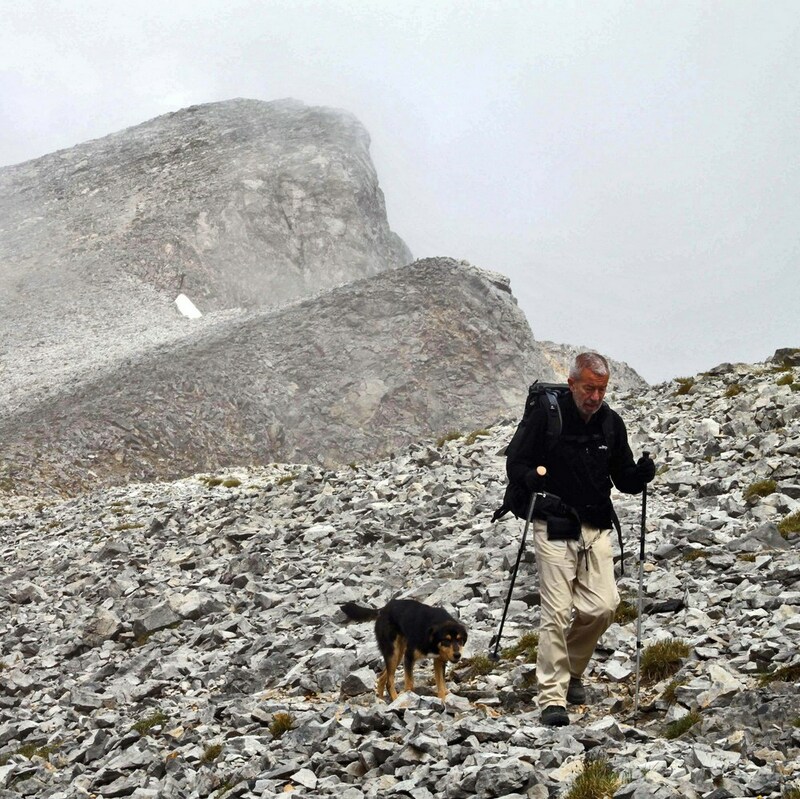 We climb to Agios Antonios, 2815m, and Skolio, 2911m. Depending on weather conditions we also reach Mitikas, 2919m or Stefani, 2909m - helmet required. We wander into the land of the ancient gods, inhale the same air and enjoy undisturbed the panoramic view. Overnight stay at Agapitos Hut, at an altitude of 2060m [D]. Day 4 - Through the gorge of Enipeas to the sea. Through a beautiful pine and beech forest and via the upper part of the gorge of Enipeas we stroll to Prionia,1040m, [3h, C]. Transfer to Litochoro (17km) and to our hotel. In the afternoon swimming opportunity. 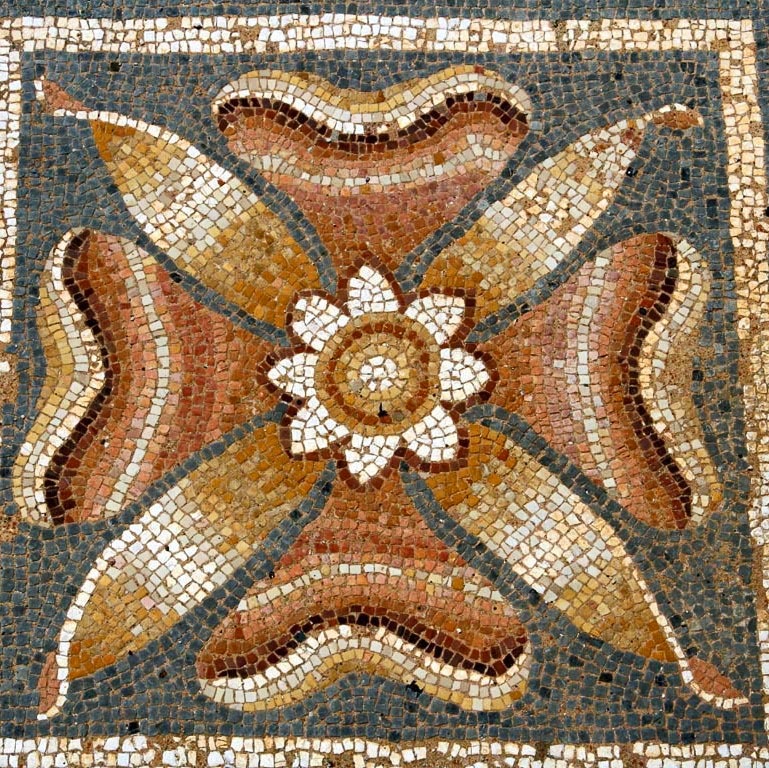 Day 5 - Vergina and Dion, Macedonian royal tombs and cities. Culture day. 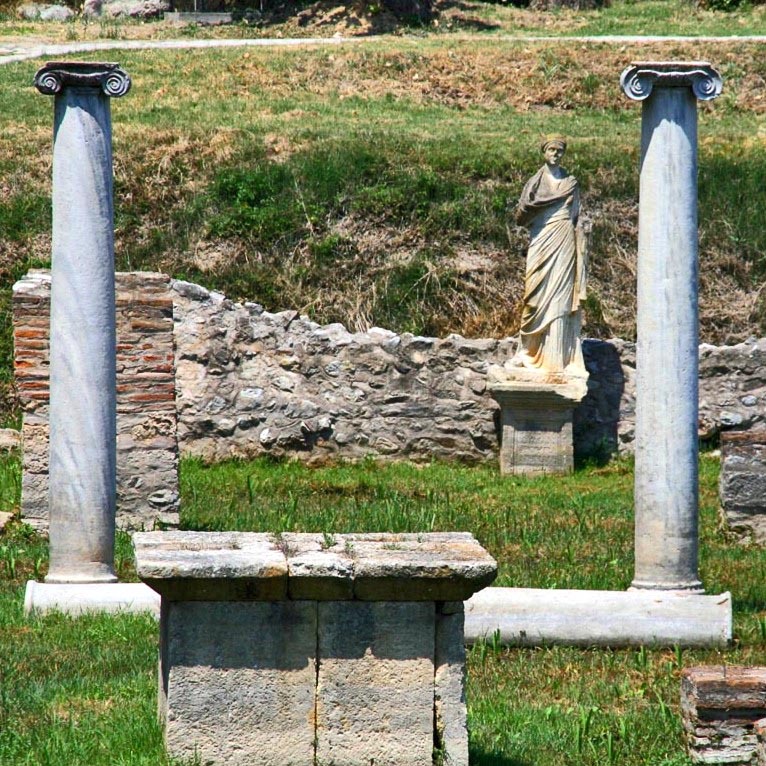 Drive to Dion (10km), where, in the shadow of the Olympus, Macedonians celebrated the Olympic Games, and visiting the excavation of the ancient city. 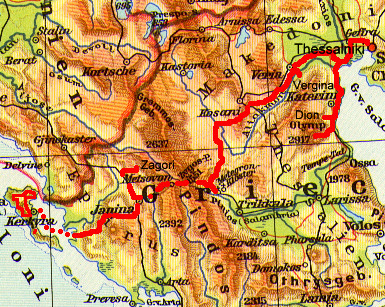 The journey continues towards Vergina (70km) for visiting the tomb of king Philippos and the exhibition of outstanding archaeological finds. 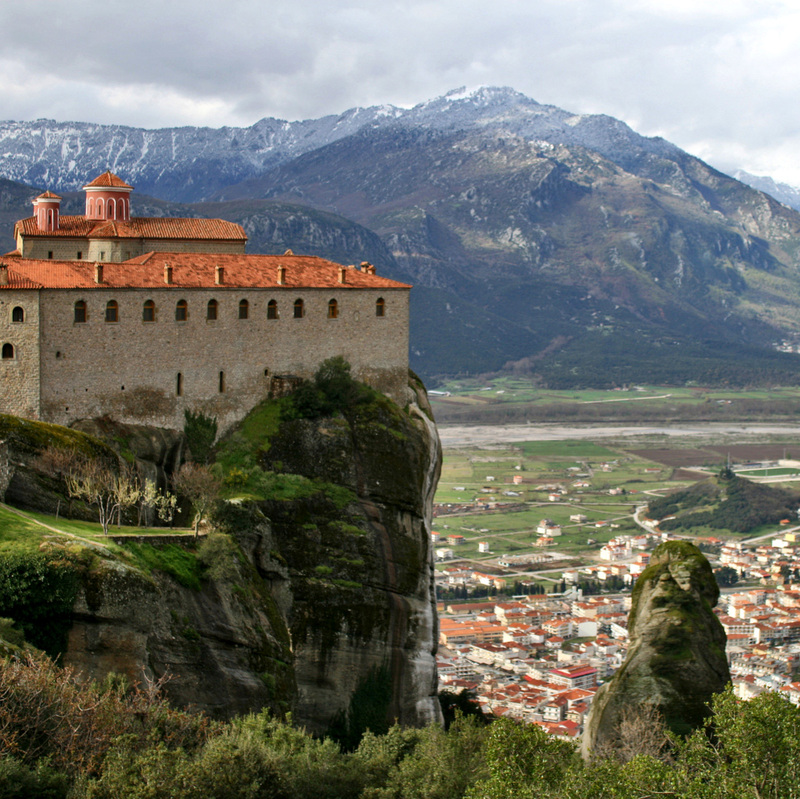 In the afternoon, via the new Egnatia Motorway and through isolated areas, we arrive to Kalabaka, the town at the feet of the rocks of Meteora (200km). Swimming opportunity. One night in Kalabaka. 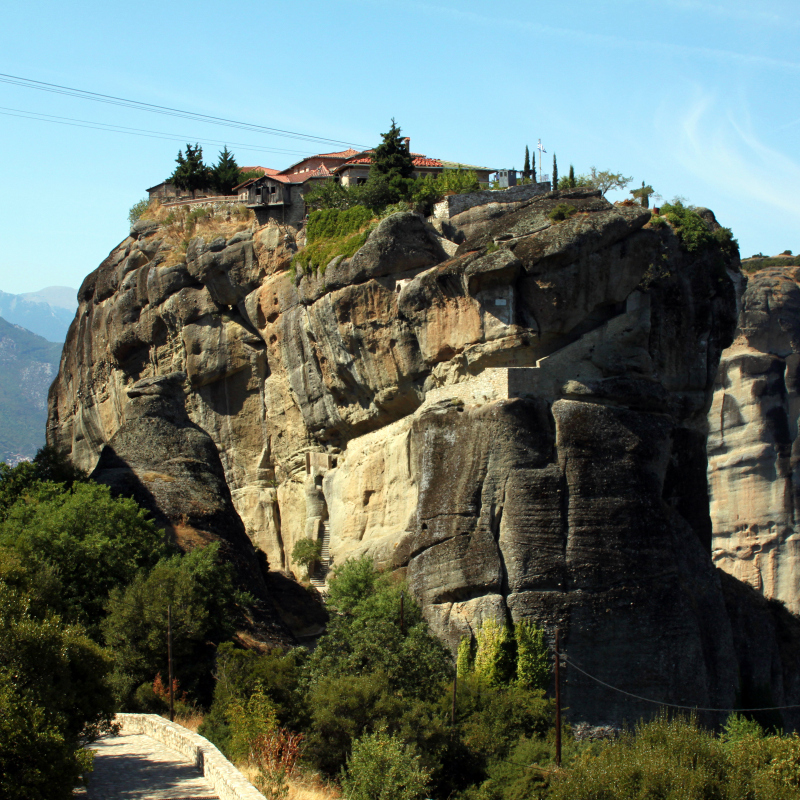 Day 6 – Meteora: the "floating monasteries"
We visit two of the “Floating Convents”, decorated with frescoes by artists of the Cretan School of painting. Short hike between the vertical cliffs [A+]. Bus ride through the Pass of Katara (at 1690m), towards the territory of Zagori. 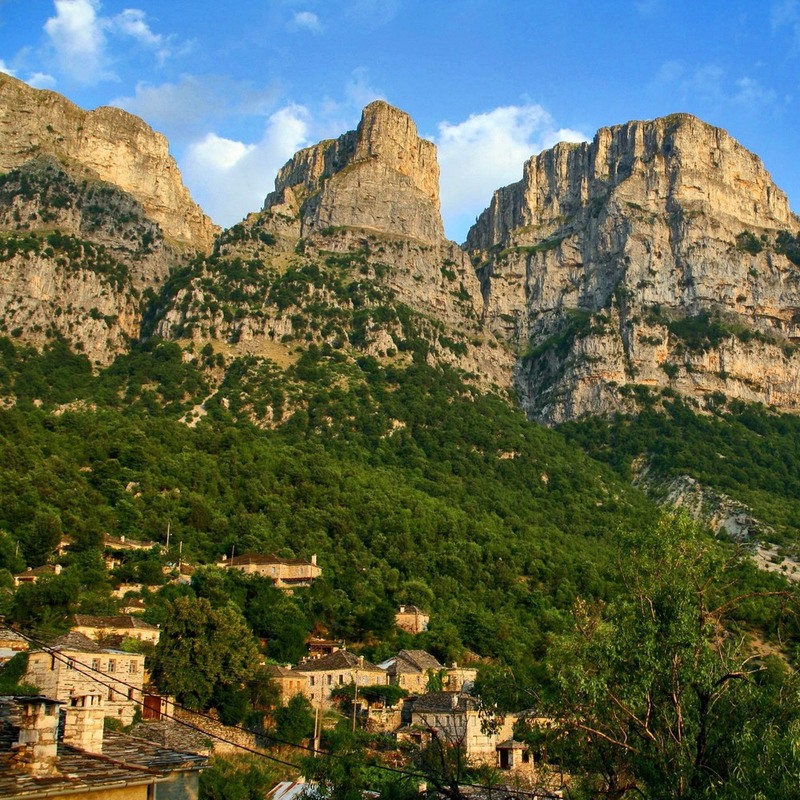 One night in the village of Monodentri (at 1060m) at the upper entrance of the gorge of Vikos (160km). 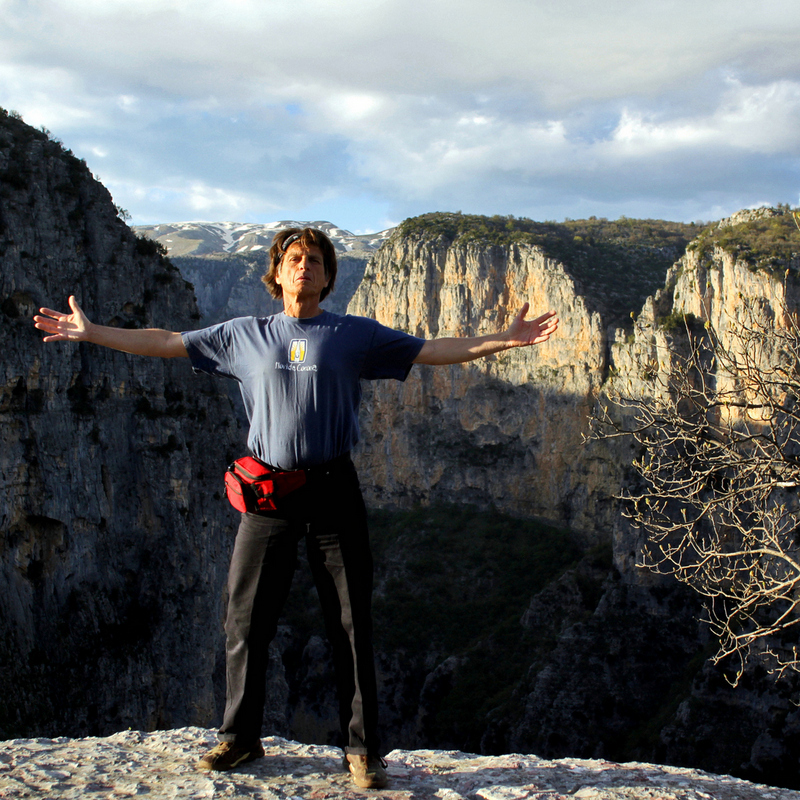 An about 6h hike, through the canyon of Vikos, renowned for its wild beauty. 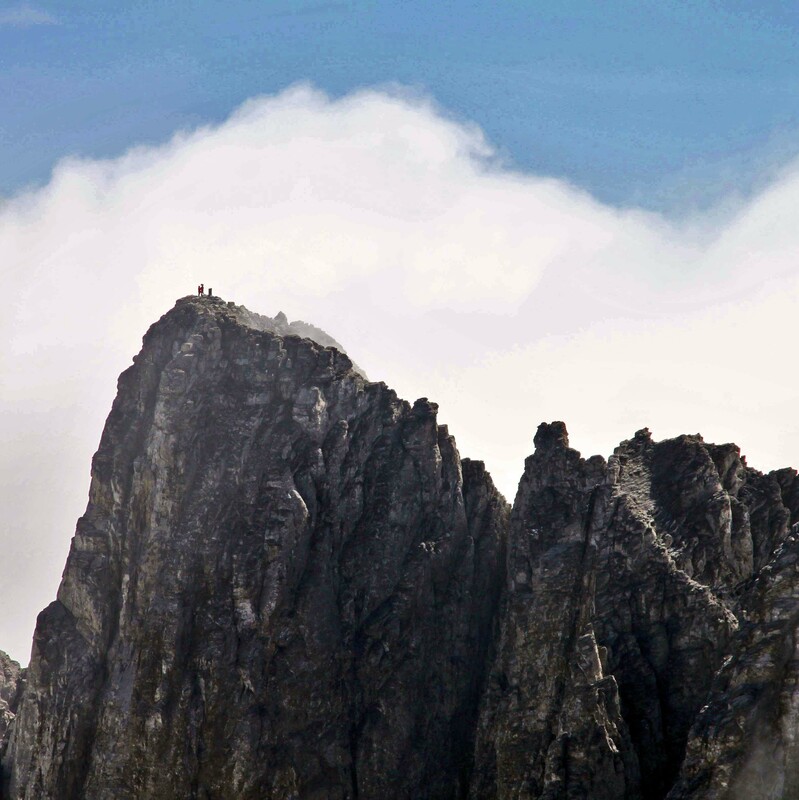 Amazing spectacle: the high cliffs projecting beyond to the NE, the famous “towers” of Astraka. 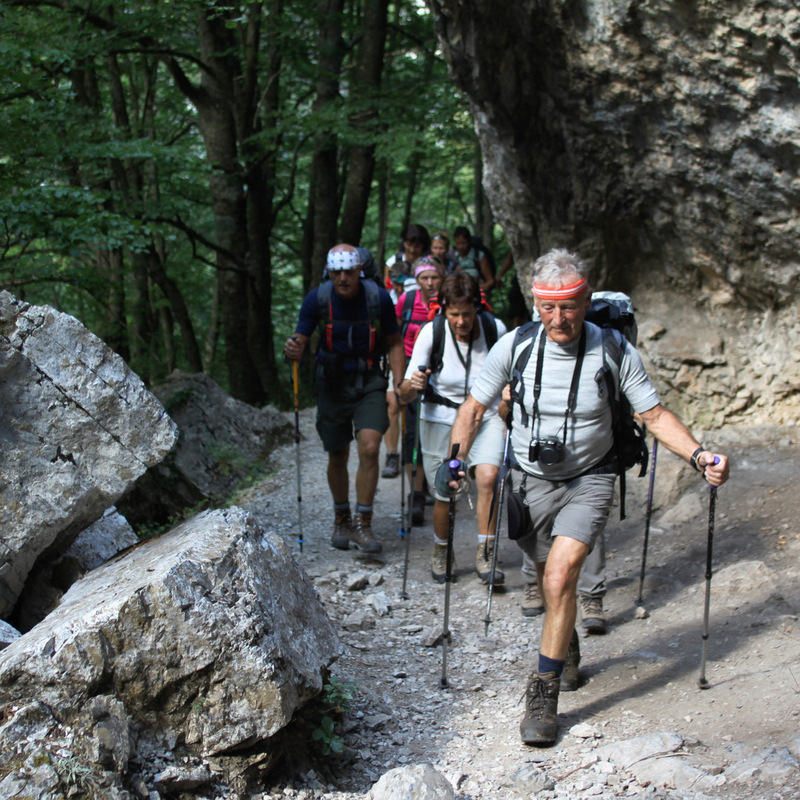 We reach the springs of Voidomatis river (at 480m) and ascent to the village of Vikos (at 740m) or Mikro Papigo (at 940m) [C]. Overnight stay in a village of traditional architecture. Climbing the highest peak of mountain Tymfi: Gamila I, altitude:2497m. 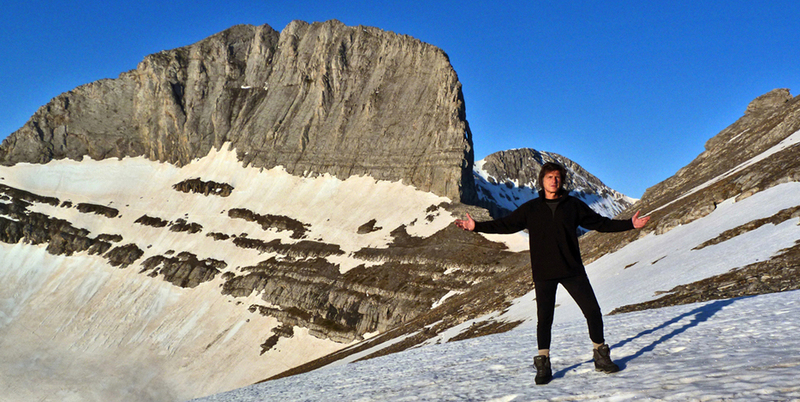 A grandiose mountainous hike in strict solitude. 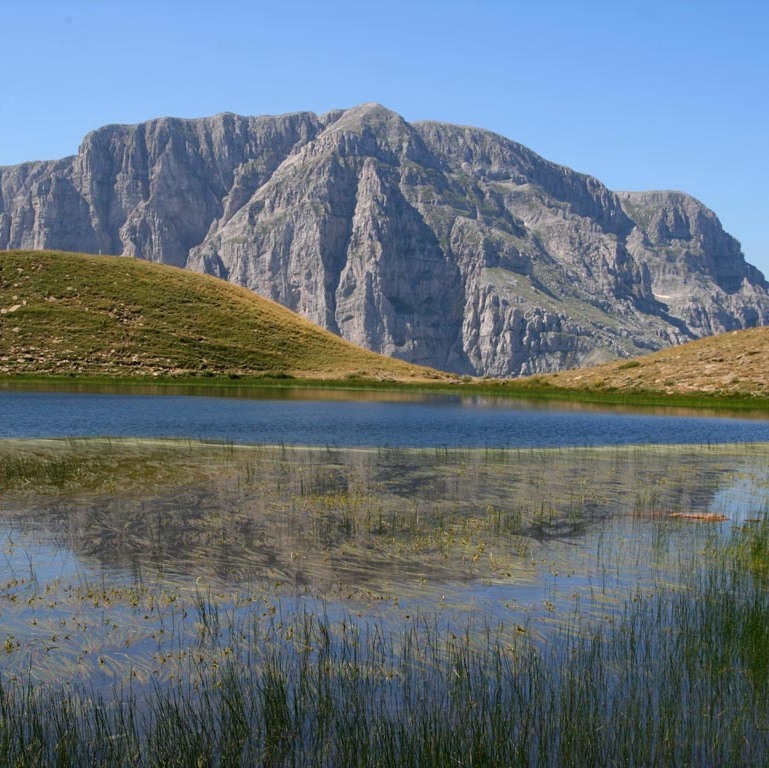 Some claim that this (Tymfi or Gamila) is the most beautiful mountain in Greece and we will prove them right. Descent to the hut and further to Papigo [D]. One night in Papigo. Drive to Ioannina (60km). Into the castle, on the lakeshore of Pamvotis, lies the historic city-center. By boat we reach the island, where Ali Pasha was assassinated. We visit the Convent of Philanthropinon with its interesting post-Byzantine frescoes: Greek philosophers, among Christian saints. On foot we round the small island [A]. In the afternoon we drive to Igoumenitsa by the Ionian Sea (96km). By ferry we reach the island of Corfu (about 1h30 '). 5 nights in Corfu. Day 11 - "Kerkyra", the capital of the island. 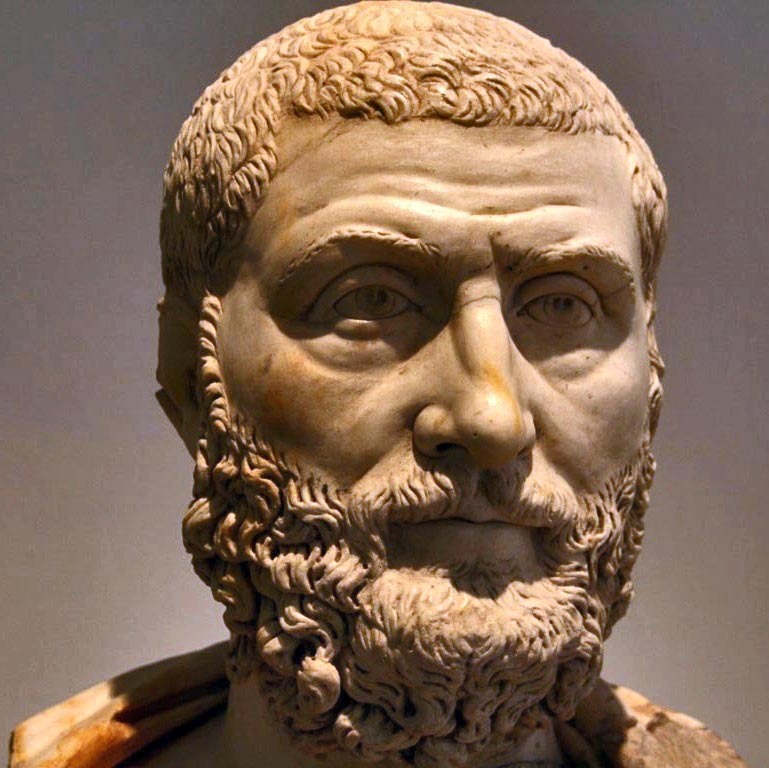 A three-thousand-year experience. By bus and on foot, we visit the city. There, each era has left its traces. The old town, with its two fortresses, has a strong, Venetian character. On the esplanade, the Liston-building with its arcades reminds the period of the French administration. The green cricket-pitch represents the British period. In the archaeological Museum stands the splendid pediment of Gorgo, from the temple of Artemis. From the Medieval-Byzantine era dates the beautiful church of the Saints Jason and Sosipatros. On the hill of the ancient acropolis stands the district of Kanoni, with excellent view to the “Pontikonisi” (“Mouse-island”). In the, like jungle, gardens stands the former king’s palace, “Mon Repos”, and two ancient sanctuaries. In the afternoon, free time for swimming and your own adventures. Day 12 - On the footsteps of Ulysses. Trip to the northwest of the island. 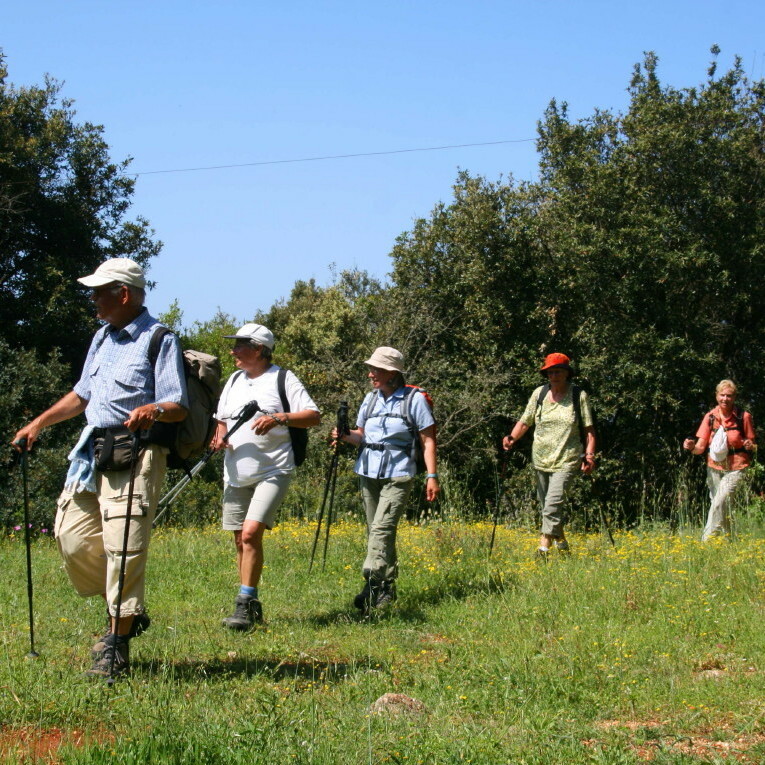 Hiking from bay to bay through olive groves, traditional villages and a fortress. Drive to Palaeokastritsa (35km). We can avoid the common monastery sightseeing and enjoy the landscape hiking: Through shady olive groves (olive and cypress trees dominate the landscape of the island) we hike towards Lakones and to the fortress Angelokastro ("Castle of Angels"), built right on the cliff around 300m above the sea. We continue via Krini, on a promising path, our descent to the bay of Agios Georgios Pagon [3h30', B]. Swimming opportunity. Return via Trubettas to Gouvia (45km). 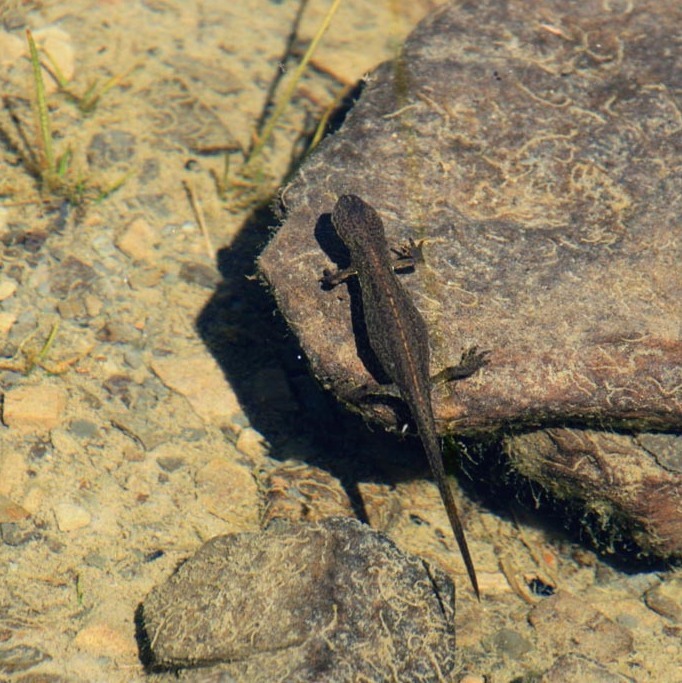 Day 13 – Swimming or hiking and touring. On the second highest mountain of the island and to the summer palace of an Empress. Swimming or hiking day. For those who chose to hike: We climb the second highest mountain of the island. 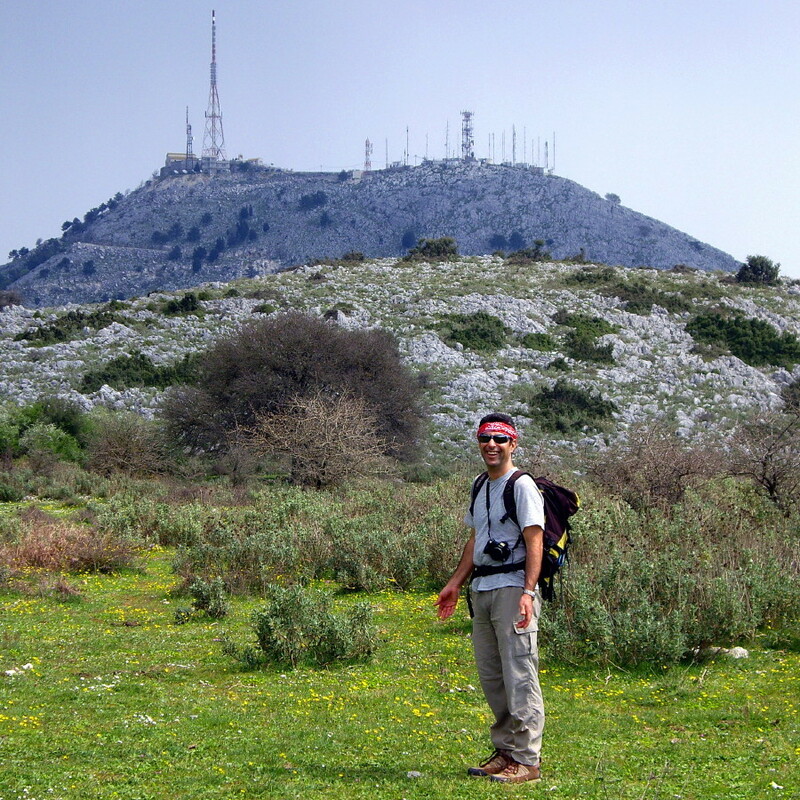 Through olive groves we ascend the mountain of Agii Deka, 576m. 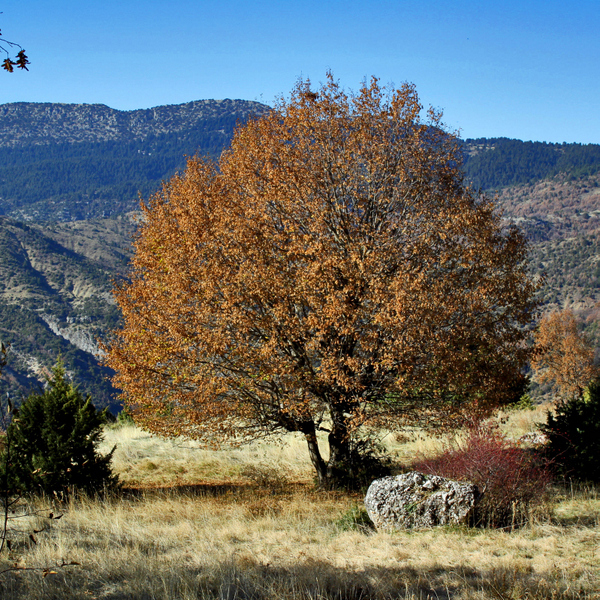 Just below the summit, surrounded by fruit trees, lies the deserted monastery of Pantokrator. Through the village of Agii Deka we continue to Gasturi, 120m, and to Achilleion, the summer residence of the Empress Elizabeth of Austria [4h, B-C]. Return to the hotel. Day 14 - Climbing Pantokrator, the highest mountain of the island and driving to the Northeast. Transfer (33km) to Spartilas, altitude: 350m. Though dense Maquia-vegetation and along the slopes of the karstic plateau of Pantokrator, we reach the summit, at 911m, with its abandoned homonymous convent [3hrs, C]. 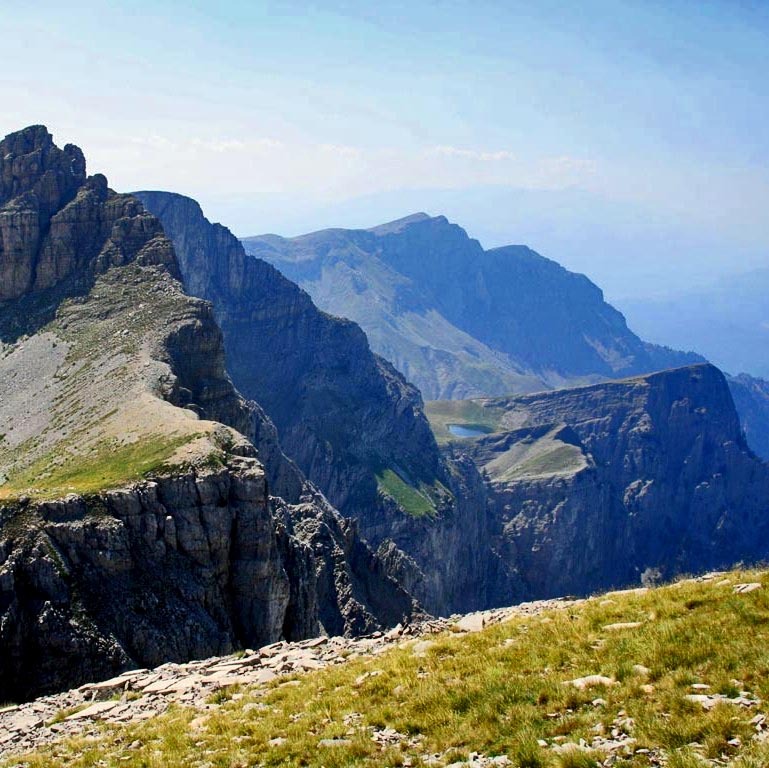 Panoramic view on Greek and Albanian mountains and coasts. Bus ride towards Kassiopi and touring on a panoramic road to the northeast of the island. Return flight or swimming vacation extension. 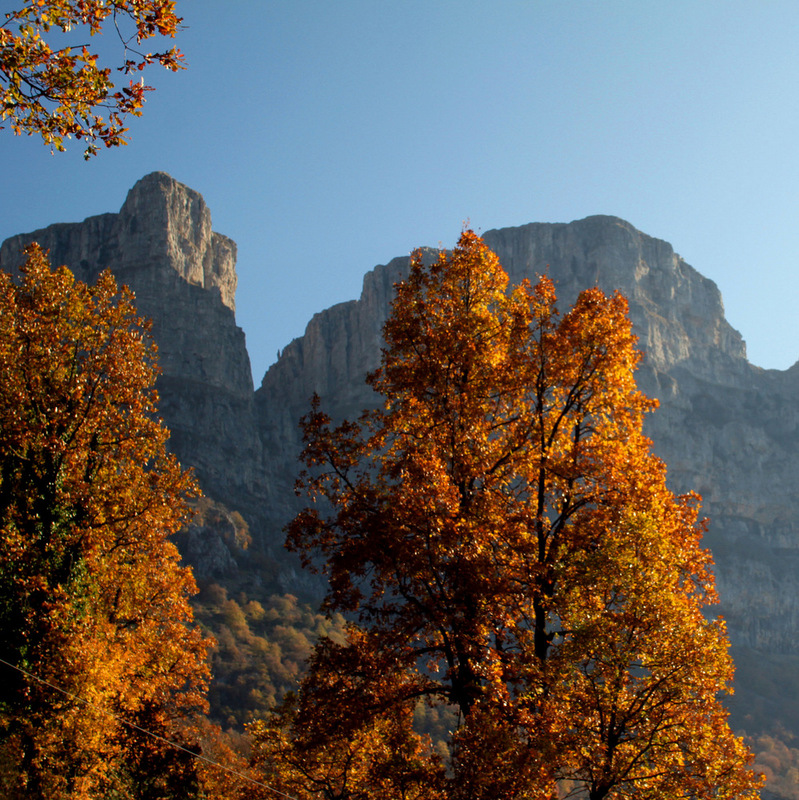 - In the National Park of Pindos complex: The gorge of Vikos, the “towers” of Astraka and the pick of Gamila. - Ioannina: The lake city. 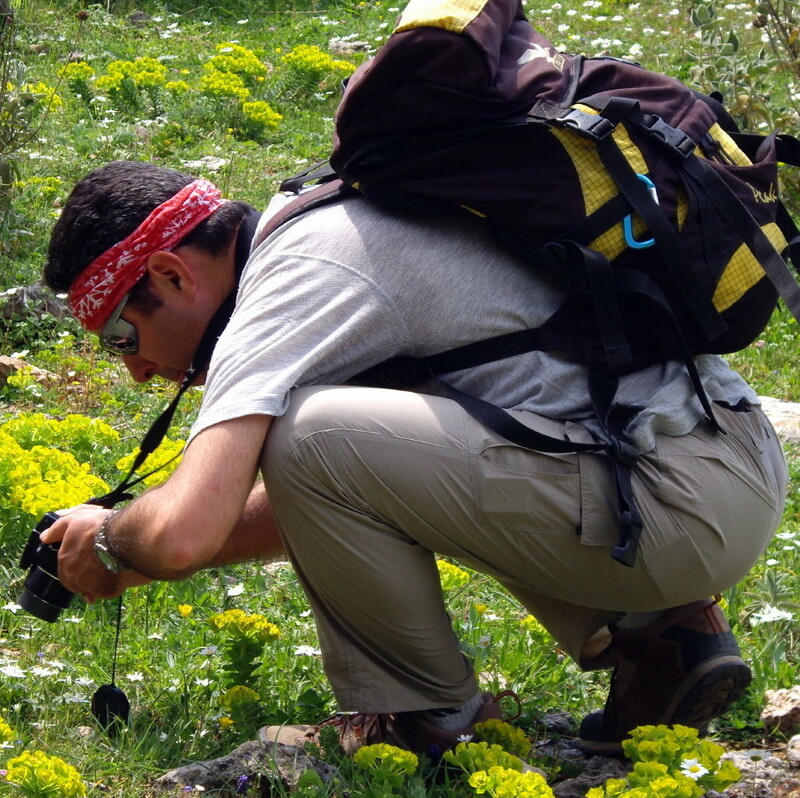 - The island between East and West : Hiking, swimming and touring in Corfu. - 10-11 hikes (6 demanding, 2 medium, 3 simple). 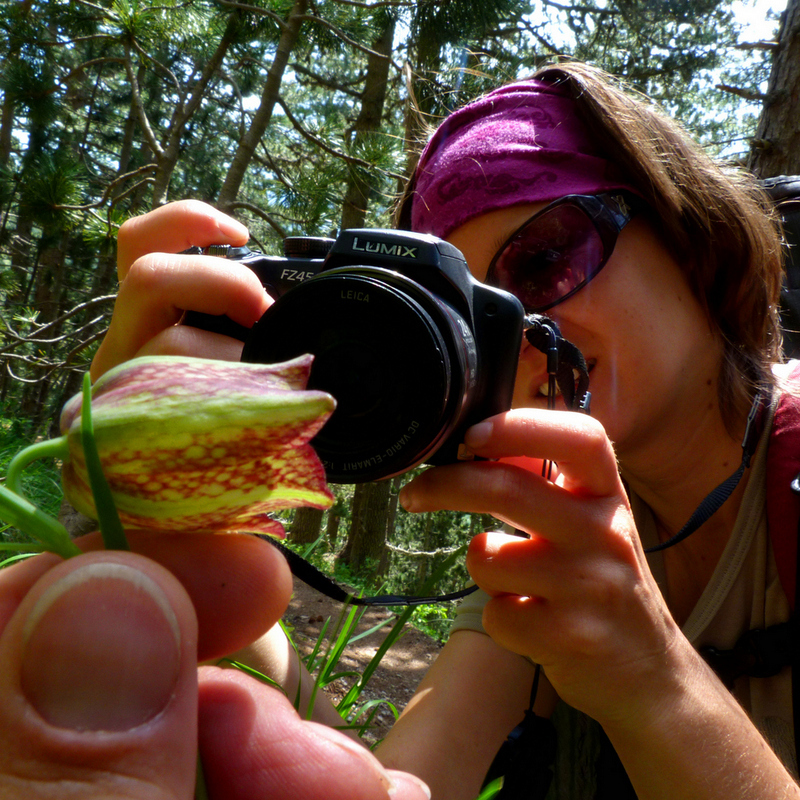 - This trip is not necessarily addressed to professional athletes, but for experienced hikers in fairly good shape. 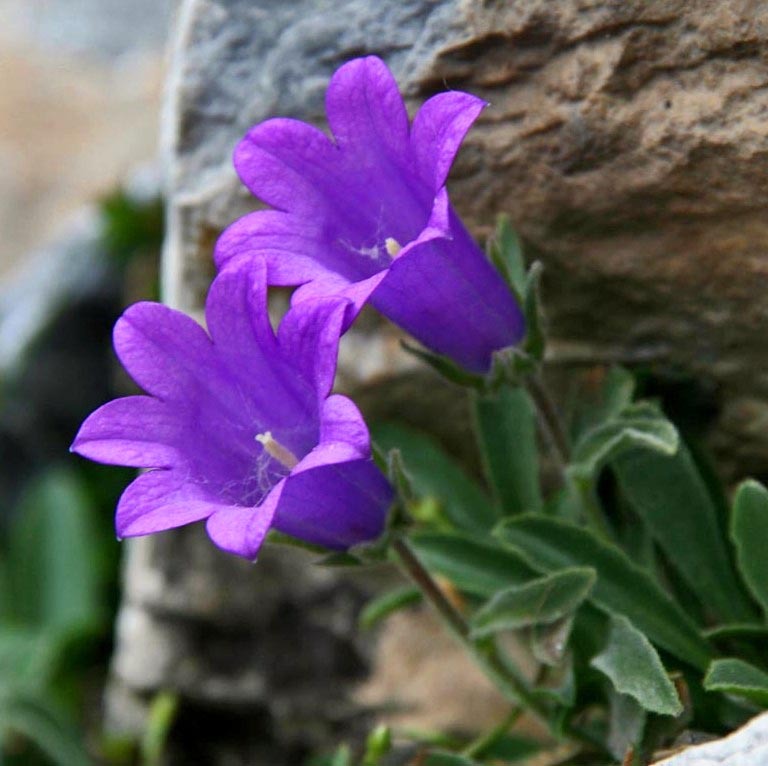 - Necessary equipment: hiking boots, hiking poles are very useful, day backpack, perhaps a raincoat, though weather conditions are generally stable in July. Crampons and ice axes, shall not be need. 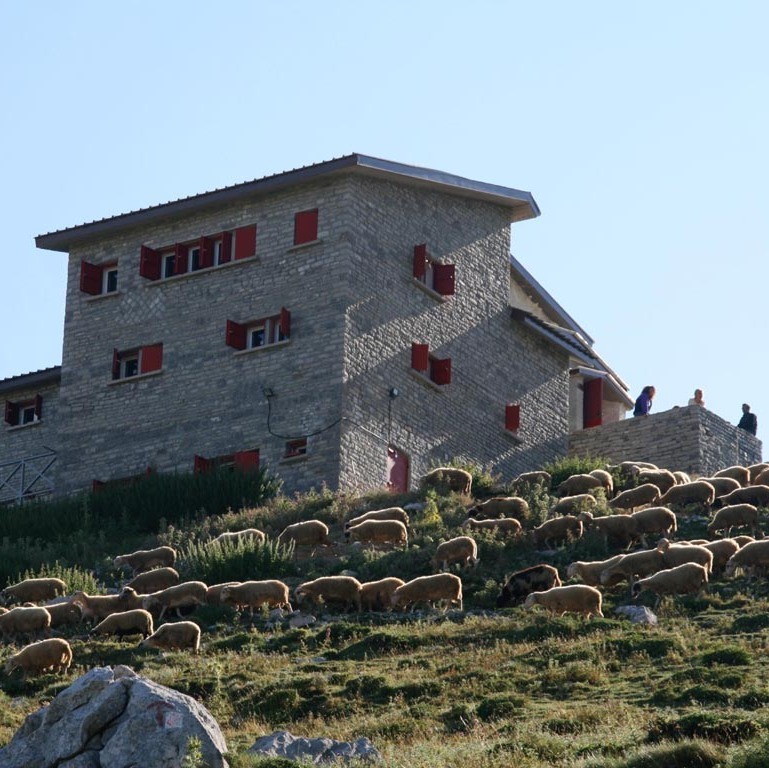 Overnight stays in neat mid-range hotels, in a quiet area, just a few minutes walking from the center and in a mountain-hut. Arrival to Thessaloniki: Individual arrival. Scheduled flight to Thessaloniki. - Several direct charter flights from Corfu. - Scheduled flight of Olympic or Aegean via Athens. For small groups or less days, see here!